How cute is Amy Taylor of TheMomBot.com? 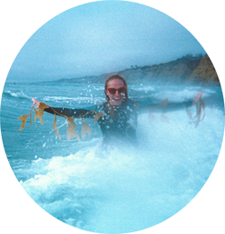 A blogger, DIYer, graphic designer and mom of two, Amy is a creative force to be reckoned with! 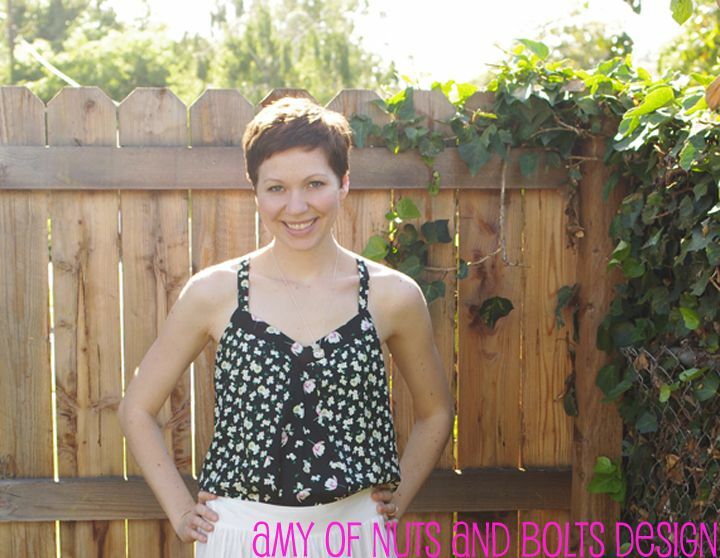 For this Etsy Shop Highlight, I interviewed Amy about her graphic printables Etsy shop, Nuts and Bolts Design. I loved learning about Amy's approach to her work and how she balances being creative with being a stay-at-home mom. From birthday invitations to thank you cards to bridal shower decorations to birth announcements, Amy's creations are perfect for any event! What gets you inspired to create items for your shop? I find myself often inspired by other designers: I see something I love and start to figure out how they created it, step-by-step. This is often how I learn new techniques and come up with a new style or obsession. Because I read a ton of blogs, I usually pick up on trends and incorporate those into my designs. A lot of time, they end up being top sellers. For instance, the chalkboard trend has been big FOREVER and those items always sell really well for me. Some of the blogs I frequent that constantly inspire me are Poppytalk, How About Orange, Papernstitch, and Design is Mine. When did you decide that you wanted to open an Etsy shop? I decided to open an Etsy shop in January of 2012. Design had become a big part of my life by then and I was already freelancing as a graphic designer, so I thought I would try my hand at having my own shop where I could sell all graphic printables. The draw was that I could create whatever I wanted how I wanted it, instead of having to follow instructions from a client. What are some of the products you'll be offering next? 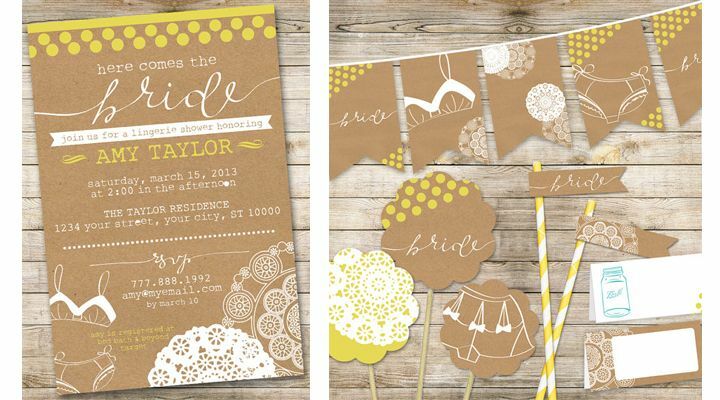 I will soon be adding complete printable wedding sets to the shop - save the dates, invitations, RSVP cards, etc. They will be sold as a package for a reasonable price and all the buyer has to do is have them printed. It will save them tons of money, but still allow them to have a customized design that they love. I can't wait to get them up in the shop! What does your workspace for the shop look like? What is the most interesting experience you've had as an Etsy shop owner? My most interesting experience as an Etsy shop owner? The fact that people actually buy what I am selling! Last year at Christmas time, I only had 2 cards in my shop, and I managed to sell over $500 worth on just those 2 designs. That was HUGE for me (because my earnings hadn't been much before that) and made me realize that if I put in the time and effort, I could make this a more steady part of my income. Since then, I have focused more on my shop and consistently added new products, and each month my income has increased. It's been amazing and humbling to see the growth. I also have people contacting me for custom orders, which makes me smile every time. What is your favorite craft or project to work on? As a graphic designer, I love to create layouts; which is why I love doing marketing brochures and coming up with invitation designs. I find spacial design fun - which I know is super nerdy. Away from the computer, I love to craft and DIY, especially when it involves decorating my home. I've really gotten into redoing and building furniture - including a toddler bed for my daughter and an industrial coffee table. I feature a lot of my craft projects and tidbits from my personal life on my blog, www.themombot.com. What is one piece of advice you would give to an aspiring Etsy shop owner? My only piece of advice for another Etsy shop owner is to believe in what you do and what you put out there. If you know it's great, then you're probably right. Don't give up; get yourself out there and keep trying. It took me a year to see any significant growth in my shop, and I am still a work in progress. But if you love what you do, then the painstaking process is worth it. I think the best part about Amy's shop is that most of her items are instant downloads, so if you're a procrastinator like me, you don't have to worry about having invites or announcements custom-made at the last minute. But even the items that aren't instant downloads (like her series of hilarious Father's Day cards) are equally adorable and eco-friendly! Hint, hint, procrastinators: go buy your Father's Day card now so it gets there in time for June 16th! 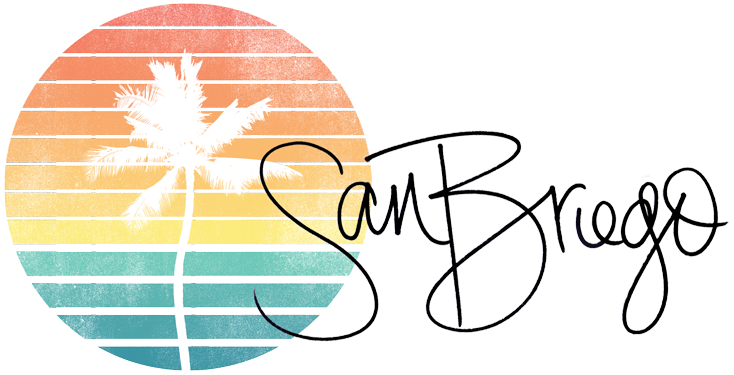 And BONUS: If you enter promo code: SANBRIEGO at checkout, Amy will give you 20% off any item in the shop! Oh wow, such beautiful designs! Definitely going to check out the shop!